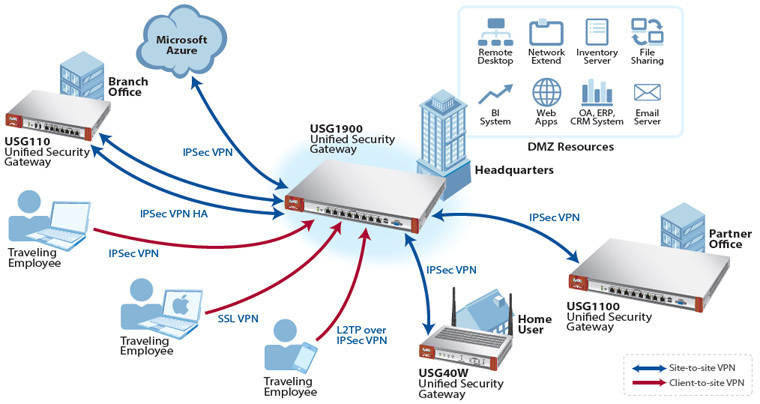 USG40W-NB - Next Generation Unified Security Gateway 802.11n Wireless w/20 VPN Tunnels, SSL VPN, 1 GbE WAN, 1 OPT GbE, 3 GbE LAN/DMZ (Non-Bundled, Hardware only, USG40W UTM Service Licenses Sold Separately. 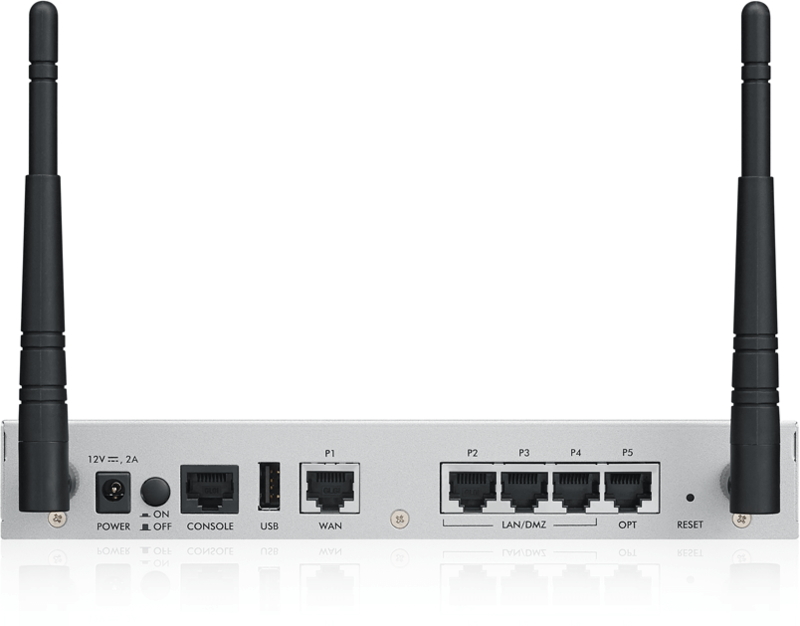 The new Zyxel USG Performance Series are all-in-one Next Generation Firewalls (NGFW) specifically designed to fulfill the demands BYOD, malware protection, application regulation, and budget control in small business environments. 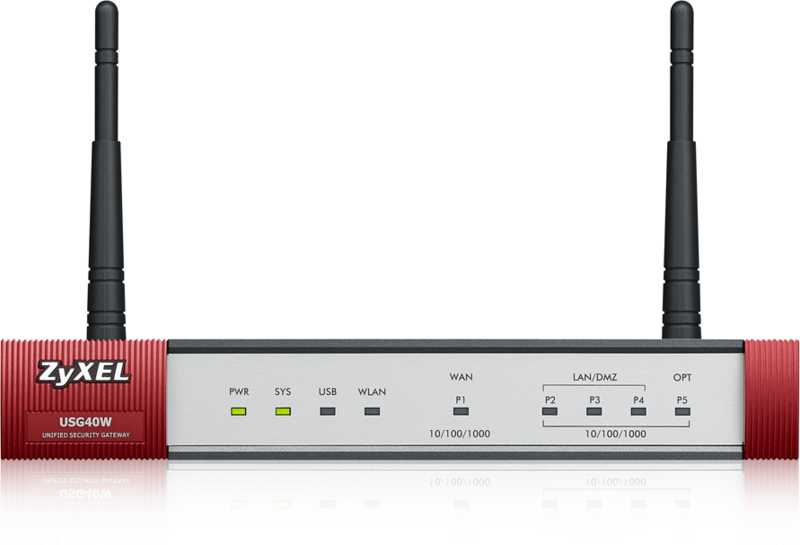 The built-in wireless AP (USG40W and USG60W) and WLAN controller offer instant wireless hotspot capability and future WLAN scalability. Comprehensive UTM features and application intelligence technology provides deep, extensive protection, while keeping businesses in control of how Web applications are used. The all-in-one design integrates everything small businesses need, delivering easier, more centralized management and lower total cost of ownership (TCO). Built with single-radio and dual-radio wireless access points, the Zyxel USG40W and USG60W are ideal for retail and office environments. 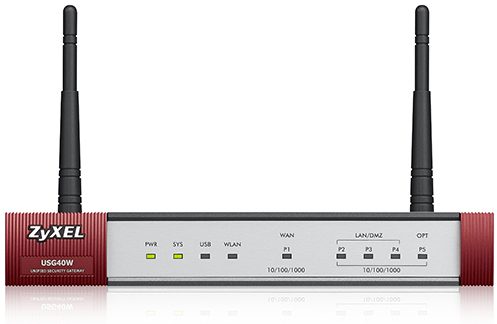 The USG60W integrates 802.11 a/b/g/n technology that delivers Wi-Fi over both the 2.4 GHz and the 5 GHz spectrums. The integrated WLAN controller supports CAPWAP, and enables centralized authentication and access management of multiple APs in the network. 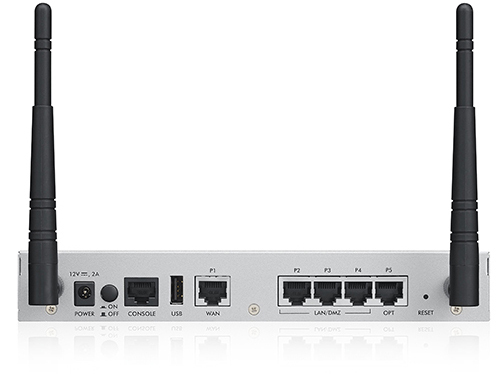 The Zyxel USG Performance Series can manage 2 APs by default, and up to 10 APs with license upgrade. Zyxel’s USG Performance Series can identify, categorize and control over 3,000 social, gaming, productivity, and other Web applications and behaviors. Users can prioritize productive applications, throttle acceptable ones, and block unproductive applications to boost productivity and prevent bandwidth abuse. 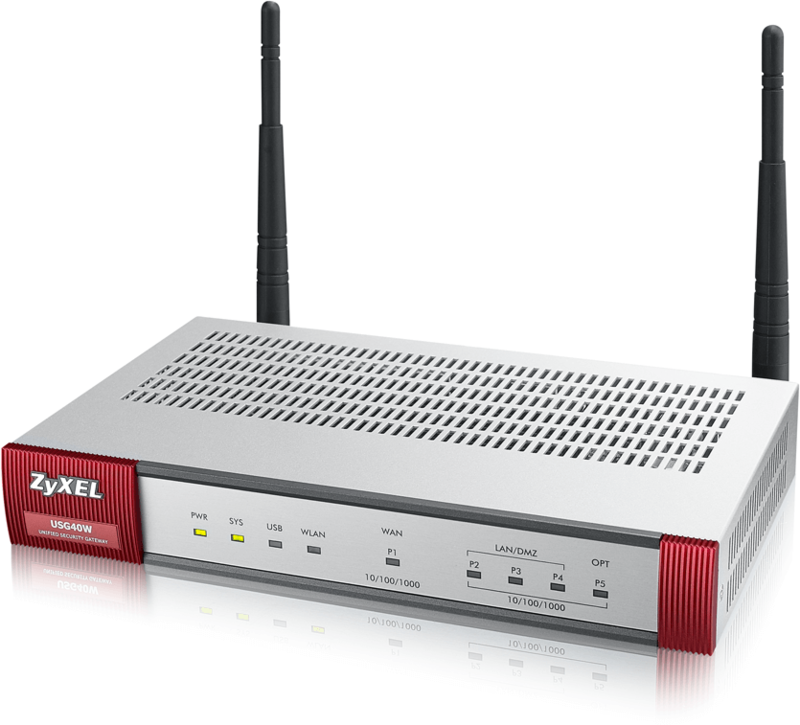 The Zyxel USG Performance Series provides high Internet uptime with dual-WAN and mobile broadband support. Dual-WAN works with two Ethernet WAN connections for active-active load balancing or active-passive failover. 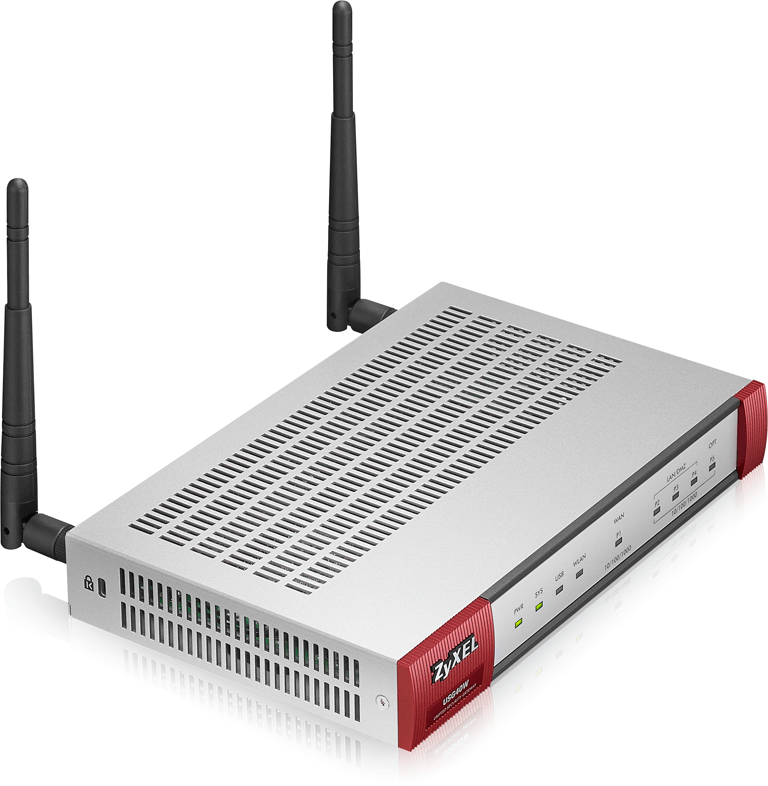 Comprehensive mobile broadband USB modems are also supported for WAN backup. The Zyxel USG Performance Series features a robust fanless design to prevent dirt and dust from entering operating environments to cause potentially catastrophic failures. The fanless design of USGs offers zero-noise cooling and non-overheating features to ensure silent operation in small or quiet office environments. Power input 12 V DC, 2.0 A max. 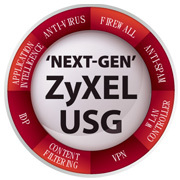 Download the Zyxel Next Generation USG Series Datasheet (PDF).